Paul Nicholls is already eyeing another significant career landmark as a trainer after a spectacular season was capped with his 3,000th jumps winner on British soil at Cheltenham yesterday. Skardu parachuted his way into the English 2,000 Guineas picture by maintaining his unbeaten streak when coming home strongly to land the Craven Stakes at Newmarket yesterday. 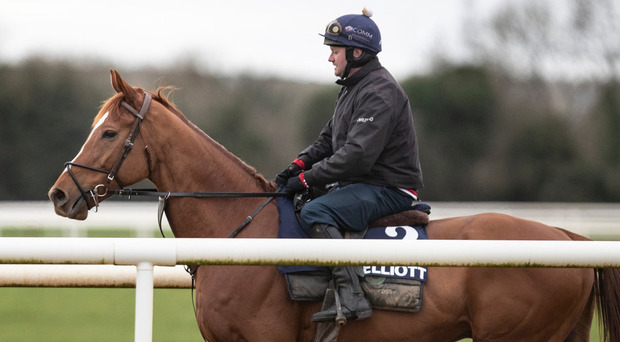 It's been a disastrous campaign for all associated with Samcro but Gordon Elliott's seven-year-old may bid to save his season in the Grade Two Keelings Irish Strawberry Hurdle at Fairyhouse on Easter Monday. 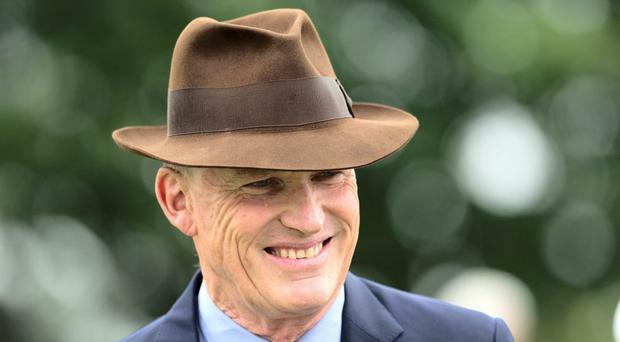 DOUBTS linger over the participation of Too Darn Hot in next month's English 2,000 Guineas, with a decision set to be made in the coming days to decide if John Gosden's exciting three-year-old is fit to tackle the first Classic of the season. 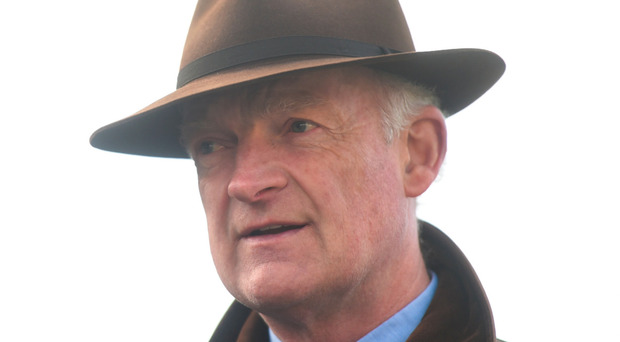 ARKLE hero Duc Des Genievres leads eight possible runners for Willie Mullins in Sunday's Ryanair Gold Cup at Fairyhouse as he bids to follow in the footsteps of subsequent Gold Cup winner Al Boum Photo, which landed the spoils last year. 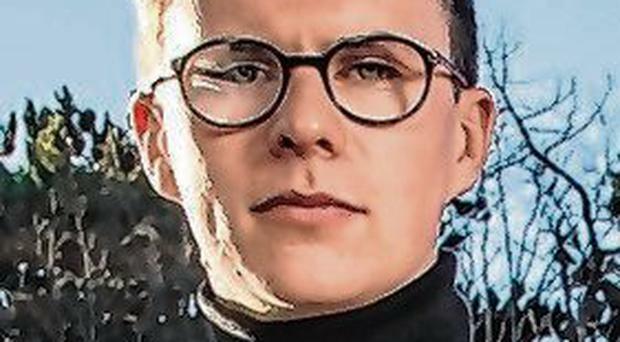 Such is the way of the world, every bit of information which Joseph O'Brien needs about his horses can be accessed through his mobile phone. And it's hopping from half six every morning. 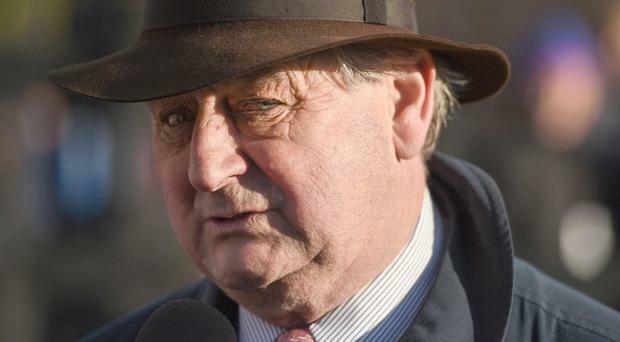 Noel Meade has six possibilities for next Monday's BoyleSports Irish Grand National at Fairyhouse but the progressive Tout Est Permis is the one he is most looking forward to. Class Conti made a winning debut for Willie Mullins in the feature event at Tramore yesterday. 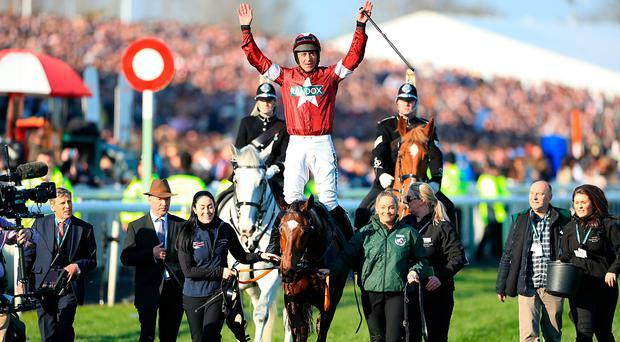 Tiger Roll's Grand National triumph seemed like the ideal Irish sporting victory. The central combination of four larger-than-life characters resulted in a perfect storm which lent the moment a kind of supreme emotional rightness. IT'S not every day of the week that three Classic winners line up on one card but that's the situation today as Latrobe, Flag Of Honour and Romanised are the key players in a stacked Naas meeting. 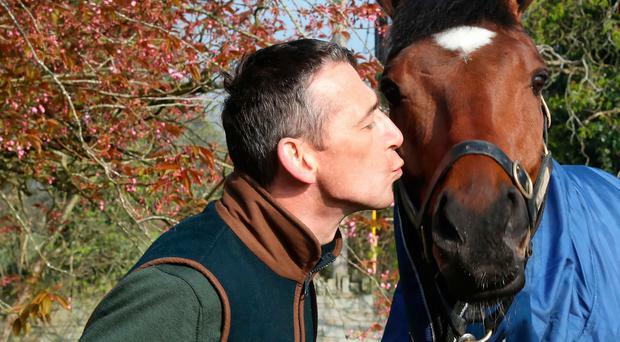 Well, my woeful betting record in the Grand National continued last week, but no-one can begrudge Tiger Roll's connections his historic victory. Al Boum Photo will bid to land a famous Gold Cup double when he heads to the Punchestown Festival and trainer Willie Mullins reports him to be "in great shape" after his exploits at the Cotswolds. 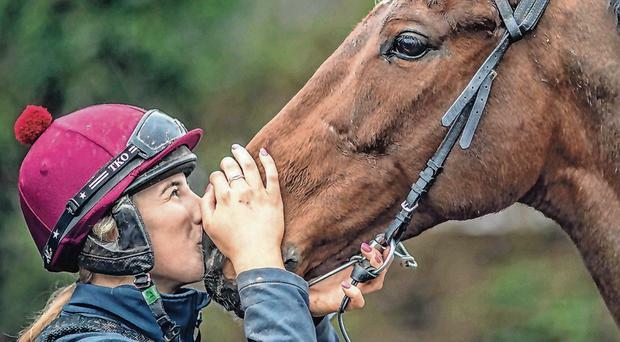 Following the record-breaking feats of Rachael Blackmore and Bryony Frost at last month's Cheltenham Festival, female jockeys jockeys will break new ground when competing for the most valuable ladies' race in Europe at Leopardstown next month. 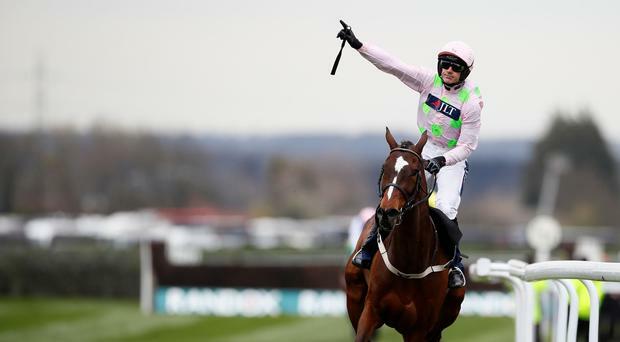 Douvan could be set for a surprise return at the Punchestown Festival (April 30 to May 4) after Willie Mullins reported the injury-plagued star to be back doing "fast work". Frozen Fire is settling into new surroundings in Romania after the 2008 Irish Derby hero made a marathon six-day trip totalling 3,250km by lorry to Cislau where he will continue his career as a stallion. 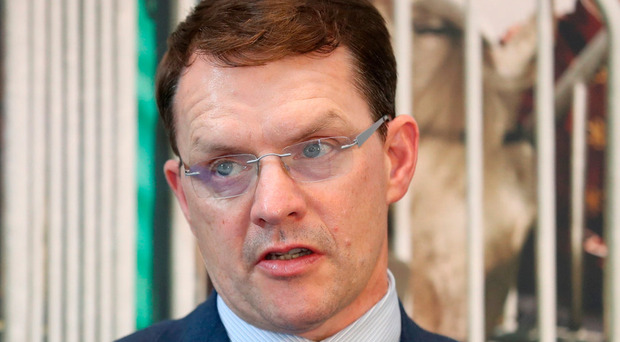 Chelmsford isn't the most exotic location to start a Kentucky Derby bid but Aidan O'Brien will venture there today with U S S Michigan out to book his place in the Race for the Roses. 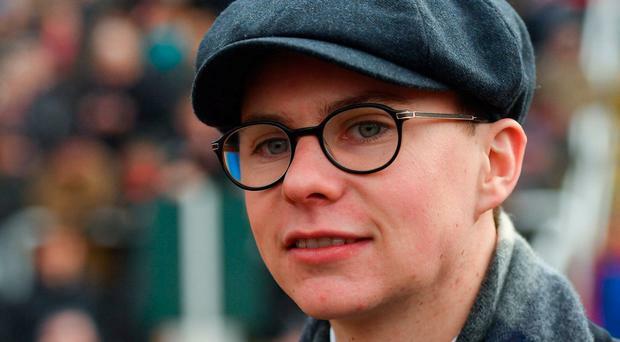 Most jumps trainers are coming to the end of the season but Joseph O'Brien is only getting started and the dual-purpose Kilkenny trainer is excited with his sizeable Flat contingent ahead of the summer. 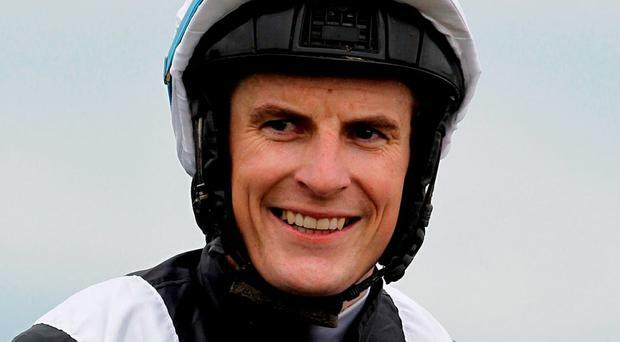 Brendan Powell, the rider of 1988 Grand National hero Rhyme 'N' Reason, has announced his retirement from the training ranks. 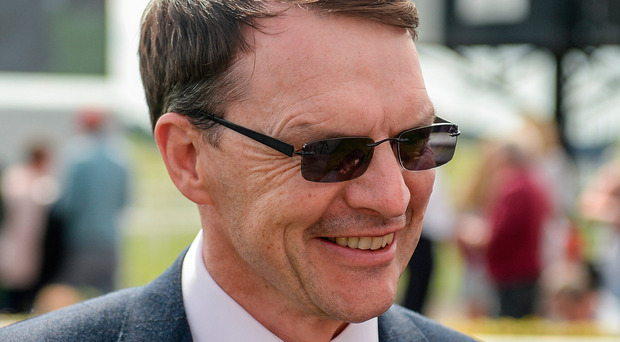 Aidan O'Brien will skip Saturday's Greenham Stakes with Ten Sovereigns and his leading English 2,000 Guineas hope will instead wait until next month's Newmarket Classic before pitching up against Too Darn Hot. 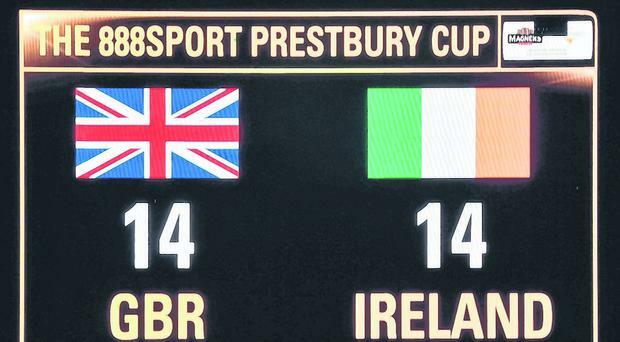 The bowls of popcorn were prepared as Louise Magee and husband Gavin sat down with their young family and readied themselves to relive history with tears expected to flow for the evening after watching a repeat of the Aintree Grand National. 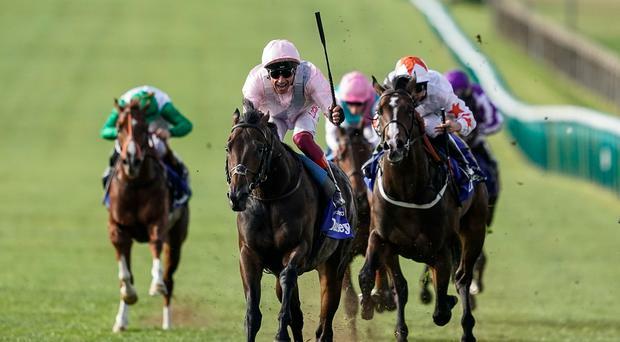 Too Darn Hot tops the billing for the Watership Down Stud Greenham Stakes at Newbury on Saturday. Making the familiar trot down Summerhill's sloped main street to Shaw's Bar, Tiger Roll looked to have all the energy in the world just 24 hours after his ferocious, history making Grand National finish. 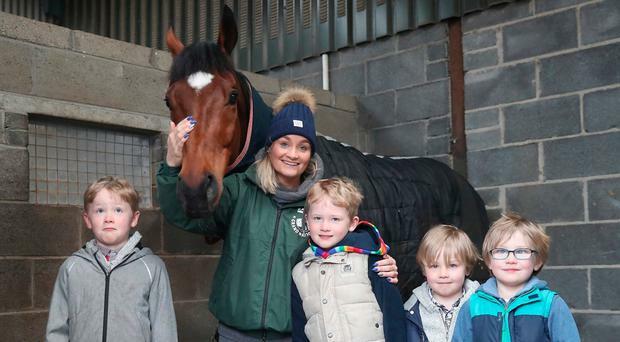 Louise Magee, the groom who led Tiger Roll out to Grand National glory, may not have slept for two nights but she still feels like she has been on a holiday. Cimeara showed plenty of class and battling qualities to win the Noblesse Stakes at Cork yesterday. 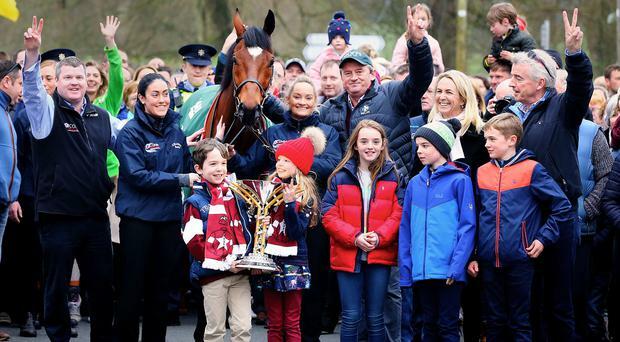 As Tiger Roll, the first horse to win back-to-back Grand Nationals in 45 years, paraded in trainer Gordon Elliott's home town of Summerhill, Co Meath, yesterday, 24 hours after conquering Aintree for a second time, the most oft-asked question was: "Next year?" 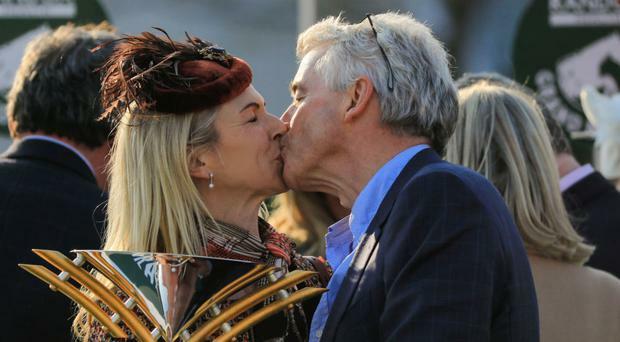 As he waited for Tiger Roll to make his way from the course to the winner's enclosure, Michael O'Leary, the horse's owner and boss of Ryanair, was wearing a grin of total contentment. With his arms aloft, he was marking a significant moment: he was making history. Or rather his horse was. The mount that took the race by storm last year had, with a supreme confidence that almost bordered on ease, negotiated his way to victory again. 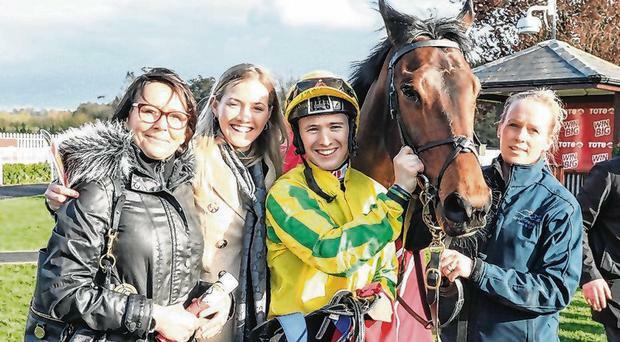 The Classic dream is still alive for the Lavery team and jockey Robbie Colgan after Lady Kaya turned the Group Three Ballylinch Stud 'Priory Belle' 1,000 Guineas Trial into a procession at Leopardstown yesterday. 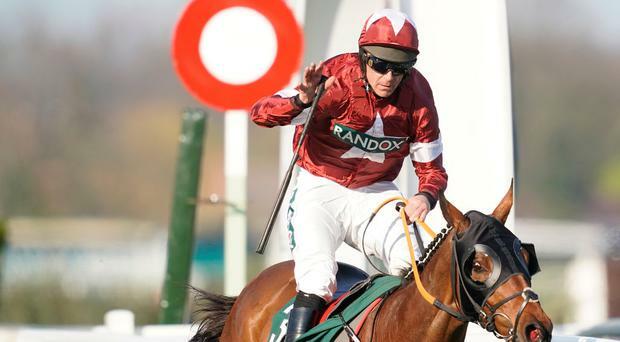 Owner Michael O'Leary has reiterated Tiger Roll is "very unlikely" to bid for a third Randox Health Grand National next April following his historic second triumph at Aintree on Saturday. 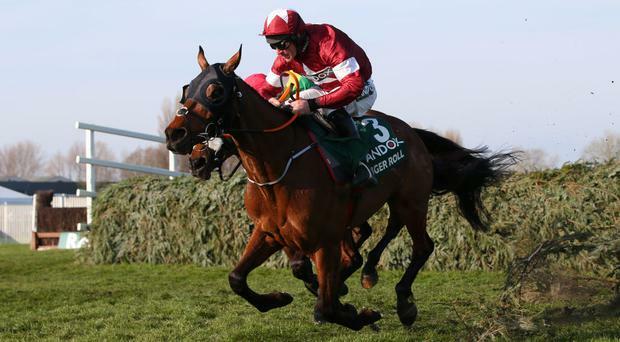 The spirit of Red Rum returned to Aintree yesterday as Tiger Roll, the 4/1 favourite, became the first horse for 45 years to win the Grand National two years in succession, romping to a two-and-three-quarter-length victory. 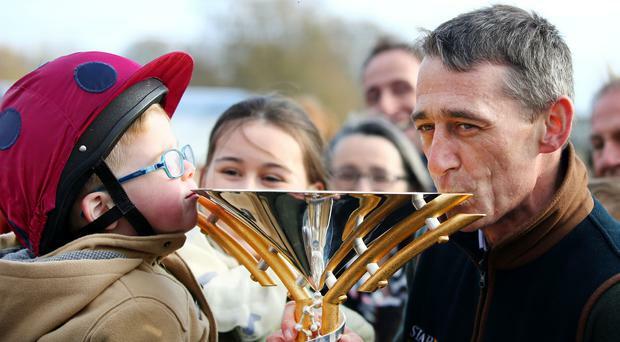 Michael O'Leary made headlines last year after delaying his Ryanair flight home to accommodate the winning jockey, Davy Russell, after Tiger Roll's maiden victory in the iconic steeplechase. 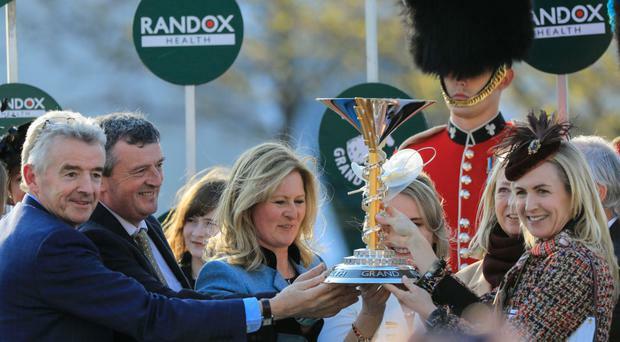 There could soon be a new statue on display at the home of Michael O'Leary after Tiger Roll became the first horse since the mighty Red Rum to win back-to-back renewals of the Randox Health Grand National. 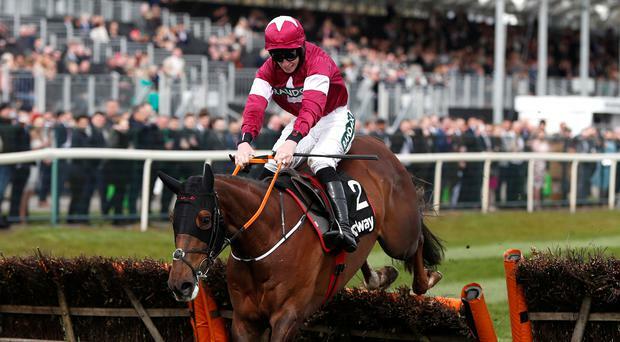 Michael O'Leary and Gordon Elliott have suggested the excess weight that Tiger Roll would be forced to carry may scupper the nine-year-old's attempt to emulate Red Rum further by claiming a third Grand National at Aintree next year. 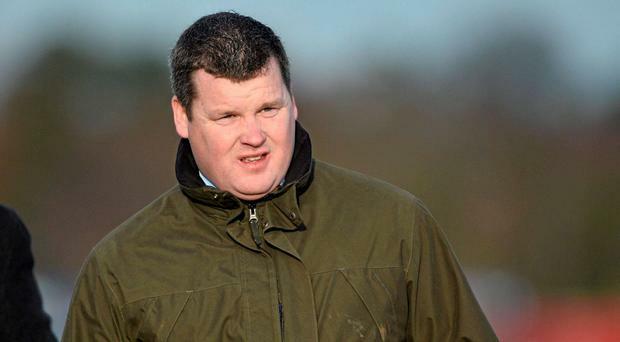 Irish trainer Gordon Elliott made history today as he claimed his third Garnd National victory and the second with Tiger Roll. Interviewed afterwards, the Co. Meath trainer dedicated the win to his late uncle Willie and to winning jockey Davy Russell's mother who both passed away in the last year. 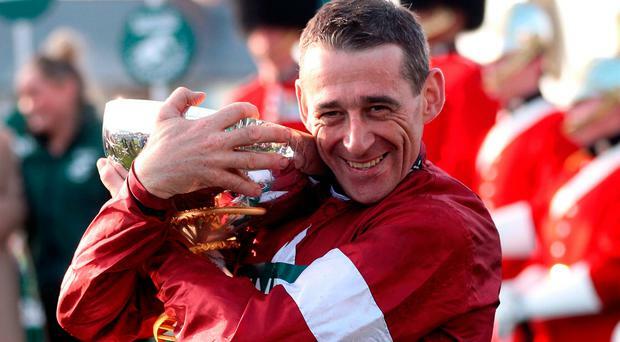 Tiger Roll, trained by Gordon Elliott and ridden by Davy Russell, has become the first horse since Red Rum in 1974 to win two Grand Nationals. 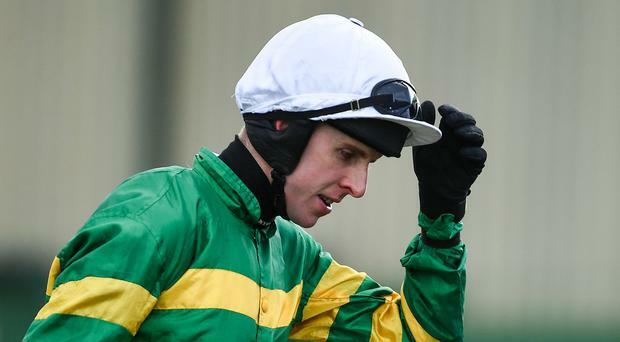 Mark Walsh has been confirmed as the rider of Anibale Fly in this afternoon's Randox Health Grand National. 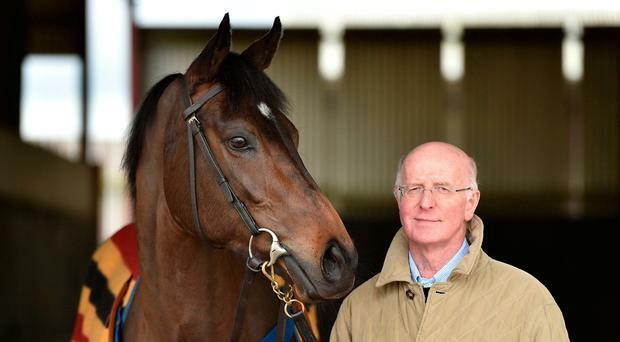 The Herald racing correspondent Niall Cronin will describe the action as 19 Irish horses bid for Grand National glory. Can Tiger Roll add another amazing chapter to his illustrious career. 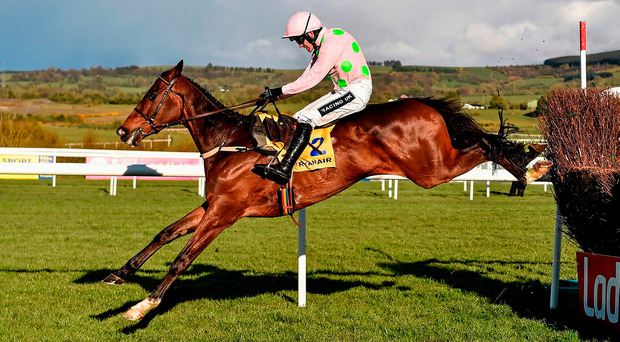 The world's greatest steeplechase may be taking place across the Irish Sea at Aintree today but much focus on these shores will be on the level with a smashing Flat card at Leopardstown. 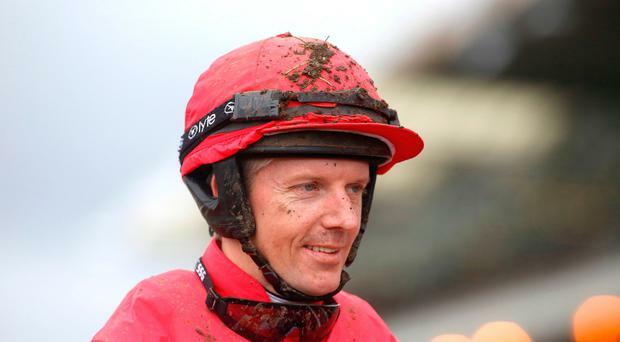 It's less than a month since Paul Townend won the Gold Cup on Al Boum Photo, but it would be no surprise if he got an even bigger buzz when Cadmium, an 8-1 shot, led from pillar to post over the National fences to win the Randox Health Topham Chase yesterday. 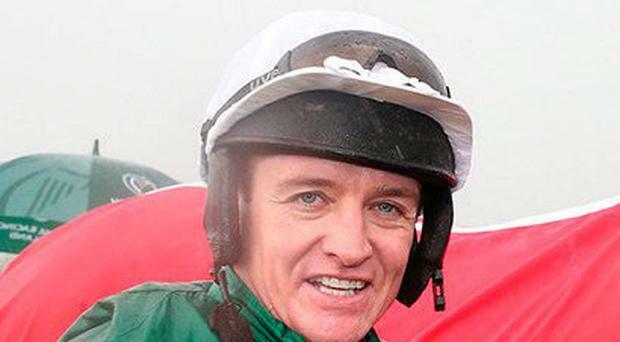 Barry Geraghty will miss today's Aintree Grand National (5.15) ride on Anibale Fly, with the Meath jockey facing a lengthy spell on the sidelines after breaking his leg in two place at the Liverpool track yesterday. The 2019 edition of the Aintree Grand National is upon us. Our expert team will hopefully help find the winner among the 40 runners. A snapshot of the last 20 runnings of the Randox Health Grand National (5.15) highlights the scale of the task facing Gordon Elliott's reigning champion Tiger Roll at Aintree today in the world's greatest steeplechase. Barry Geraghty will miss his ride on Anibale Fly in the Randox Health Grand National after suffering a broken leg in a fall from Peregrine Run in the Topham Chase at Aintree on Friday. 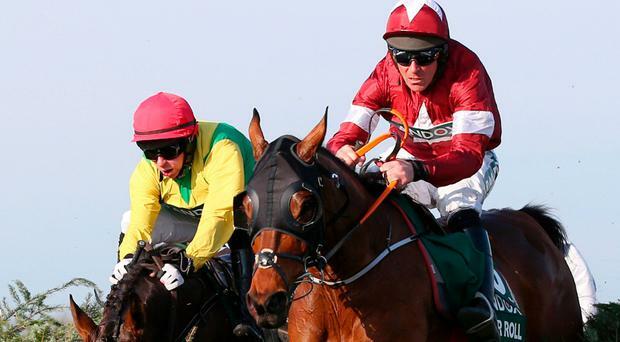 Cadmium led his rivals a merry dance in making nearly every yard of the running over the Grand National fences in the Randox Health Topham Handicap Chase at Aintree. 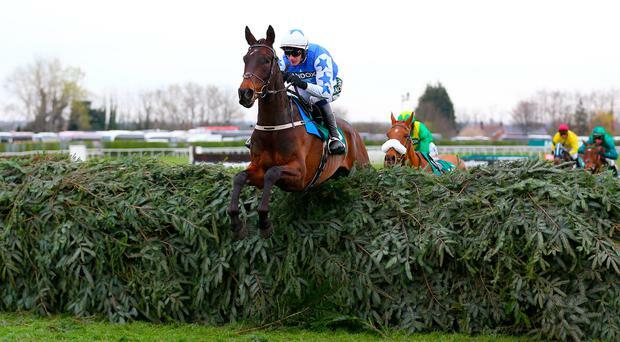 Min made amends for a narrow defeat 12 months ago with an authoritative success in the JLT Chase at Aintree. 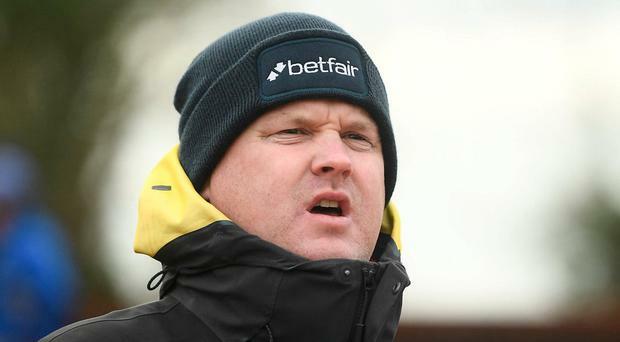 Jack Kennedy gave Felix Desjy an excellent front-running ride to win the Betway Top Novices' Hurdle at Aintree. 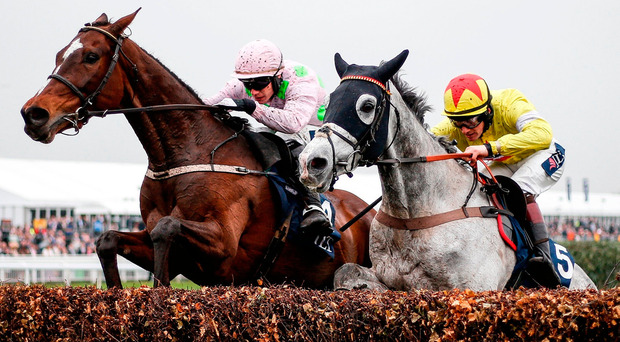 Politologue will bid to become the sixth dual winner of the Melling Chase at Aintree today. 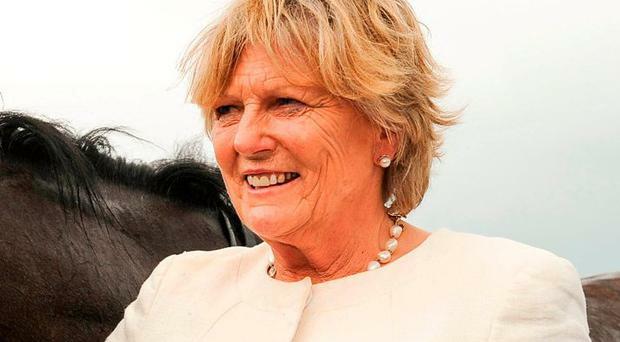 Supasundae banished Jessica Harrington's fears that history might be about to repeat itself as he instead ensured she outdid her close friend Nicky Henderson in the Betway Aintree Hurdle. Top Wood battled back gamely to beat Burning Ambition in the Randox Health Foxhunters' Chase over the Grand National fences, to give rider Tabitha Worsley a victory to remember at Aintree. 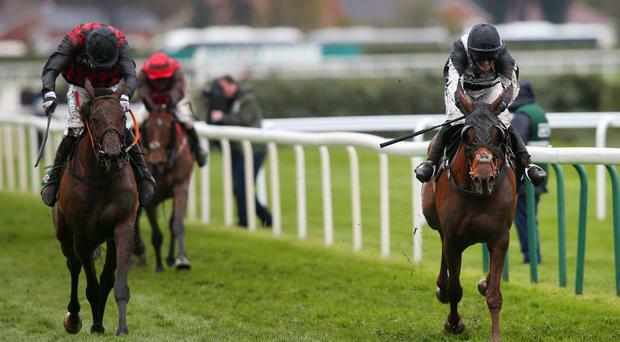 Any hopes of Kemboy claiming Gold Cup honours were quickly dashed when unseating at the first fence in last month's blue riband but compensation may await in the Betway Bowl (2.50) as Aintree's Grand National meeting kicks off in style today. Last year's one-two Politologue and Min will renew rivalry in the JLT Chase at Aintree. 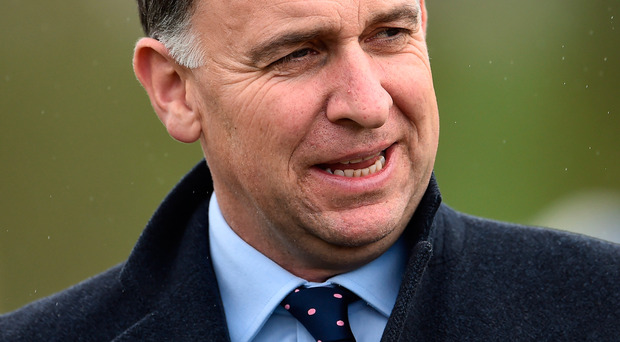 Henry De Bromhead is putting the finishing touches to a formidable Aintree team as the Waterford trainer strives to continue his record-breaking season. 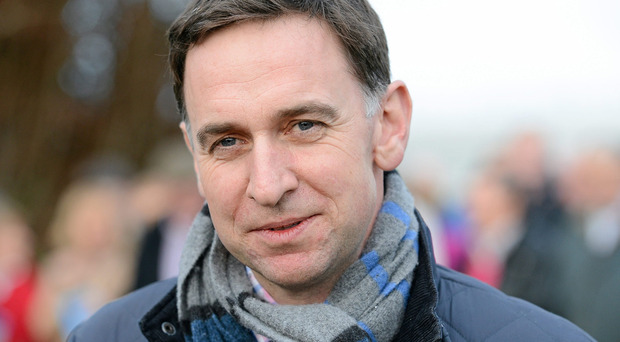 Expectations are often shaped by experience and there was little fear of Henry de Bromhead getting carried away with the complex demands of life as a trainer after his first official day. Willie Mullins may be sending a select team to this week's National meeting at Aintree but the Closutton maestro has a star-studded trio in Thursday's Aintree Hurdle. Flat jockey Fran Berry has retired from the saddle with immediate effect. 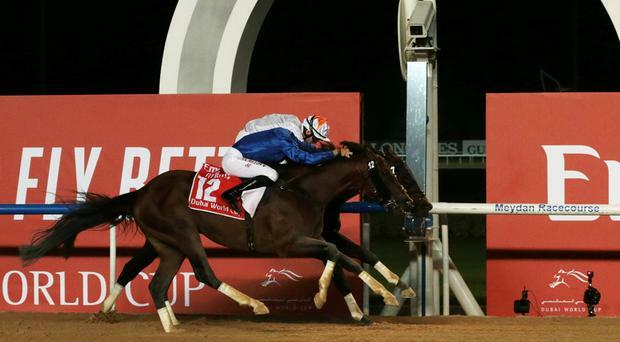 Thunder Snow became the first dual winner of the Dubai World Cup in a pulsating renewal of the Meydan showpiece. 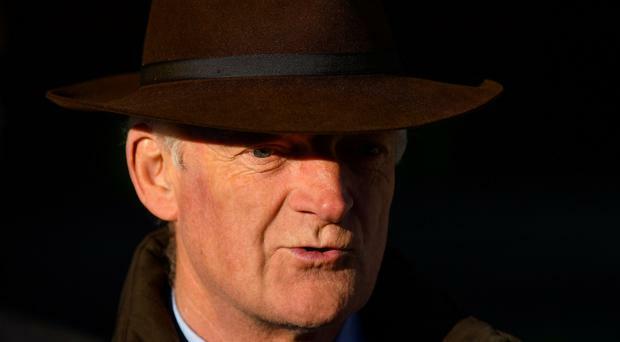 Willie Mullins won the Hugh McMahon Memorial Novice Chase at Limerick for the fifth time in six years as Burrows Saint saw off stablemate Robin Des Foret. 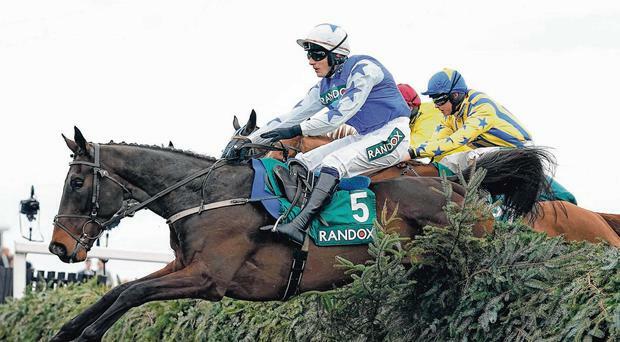 If the medicinal properties of the spring water which filters down through the Lomond Hills in Kinross-shire were supposed to be able to cure Robert the Bruce of leprosy, then propelling Lake View Lad to victory in next Saturday's Randox Health Grand National should be a mere formality. 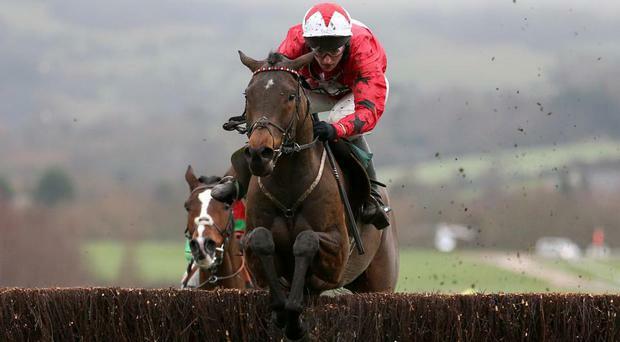 Is it really two years since Derek Fox experienced the day of days, urging the relentless galloper One For Arthur into the lead jumping the final fence in the Aintree Grand National and maintaining the momentum all the way to the line for a memorable victory in the most famous national hunt race on the planet? 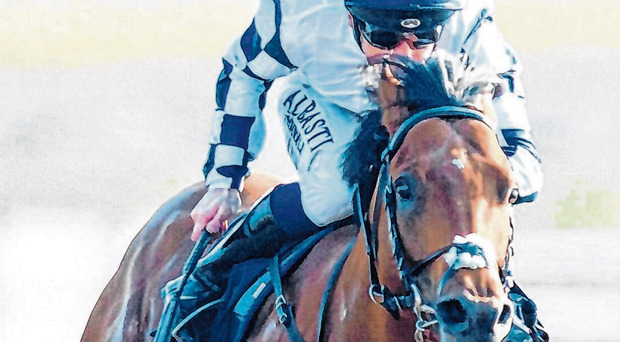 Racehorses are to be fitted with high-tech devices, similar to the fitness and activity trackers sported by humans, as part of a groundbreaking attempt by scientists to improve horse welfare. I read a story this week about an Australian man who won the lottery twice, having accidentally bought two tickets for the same draw, using identical numbers. 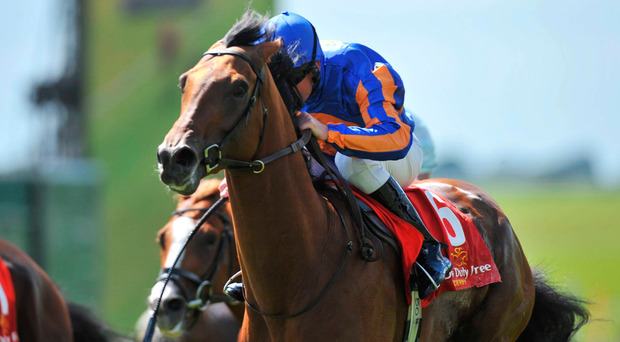 Magic Wand leads a five-strong team into battle for Aidan O'Brien on Dubai World Cup night at Meydan. 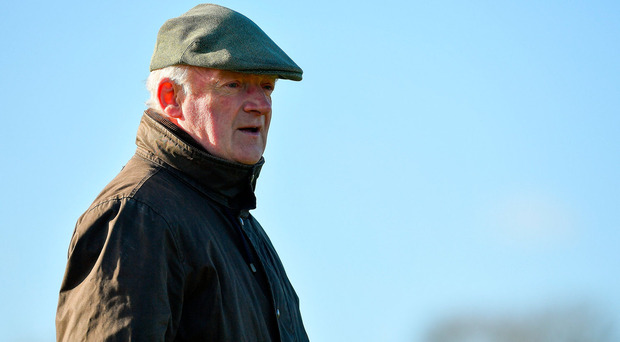 Willie Mullins has farmed tomorrow's Grade Three Hugh McMahon Memorial Novice Chase (4.05) at Limerick with four of the last five winners, including subsequent Grade One scorer Kemboy 12 months ago. 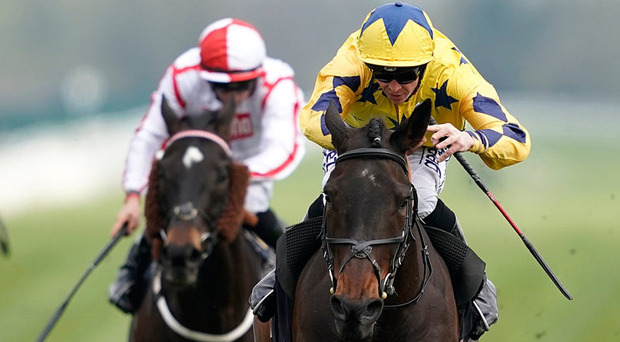 Blaklion has been ruled out of the Randox Health Grand National after suffering a setback. 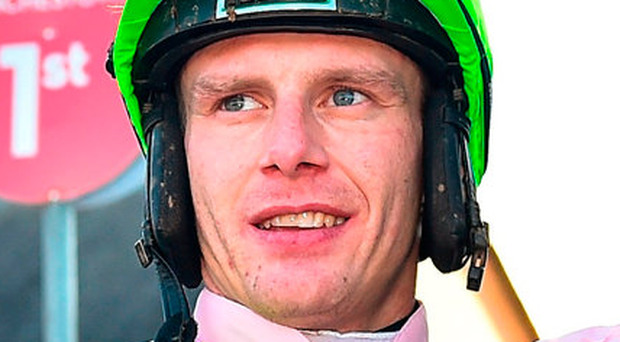 Gold Cup-winning jockey Paul Townend recorded his maiden 100th winner of the season in Ireland as the well-touted Annamix scored for the first time at Clonmel. 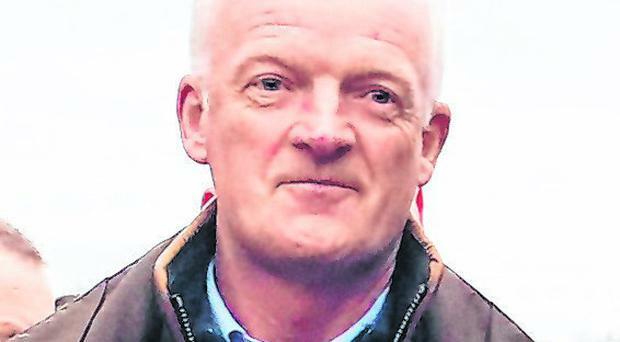 There are few enigmas in racing quite like Yorkhill but Willie Mullins will be hoping that reacquainting the nine-year-old with Ruby Walsh can strike the right chord on his seasonal return at Clonmel today. 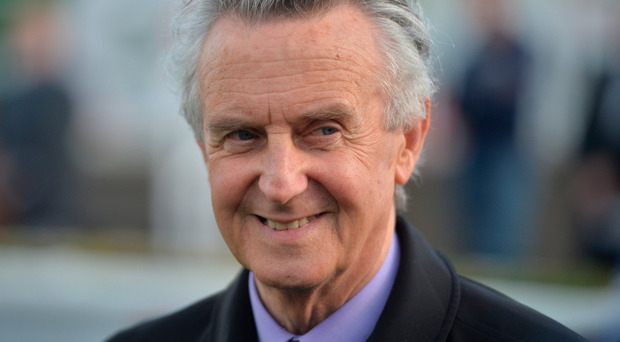 Normandel held the late charge of Hand On Heart to win a thrilling Express Stakes and bring up a terrific 5,341/1 treble for Jim Bolger and Kevin Manning at Naas. Karawaan ran out a decisive winner of the €100,000 Tote Irish Lincolnshire as the Irish Flat season kicked off at Naas. 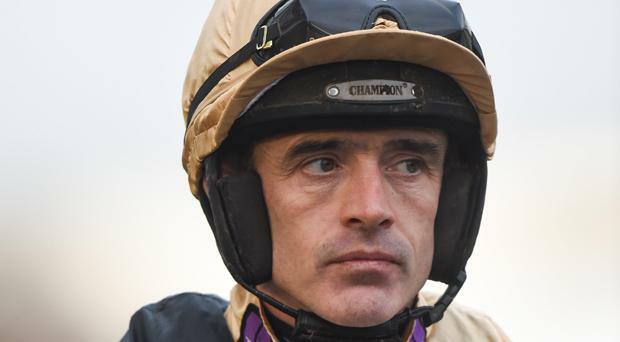 Amaulino struck for Keith Watson in the Toalsbet.com Ulster National at Downpatrick - fulfilling a long-term plan for the French-bred gelding. The flat season gets under way at Naas today and what a fantastic job Tom Ryan, Dermot Cantillon and their team at the Tipper Road track have done in picking up the slack during the Curragh's redevelopment. Noel Fehily ended a long and illustrious career in the best possible fashion as Get In The Queue ran out a ready winner of the Goffs UK Spring Sale Bumper at Newbury. 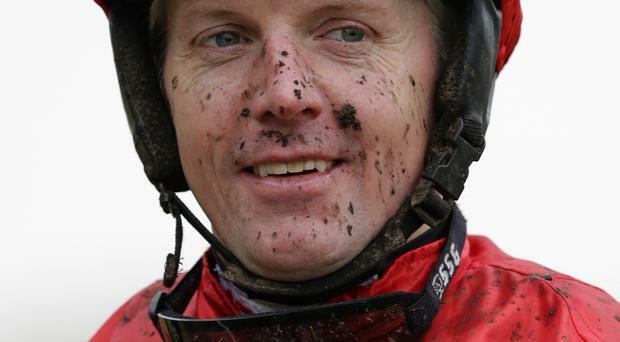 Noel Fehily, a byword for reliability in the saddle, has his last ride before hanging up his boots when he partners Get In The Queue, the red-hot favourite, in the bumper at Newbury today. Some of the earliest known horse races took place at the Curragh, a few of which involved the Celts with their chariots - and it won't be long until we see the crowds back at Irish racing HQ to keep the ancient tradition going. 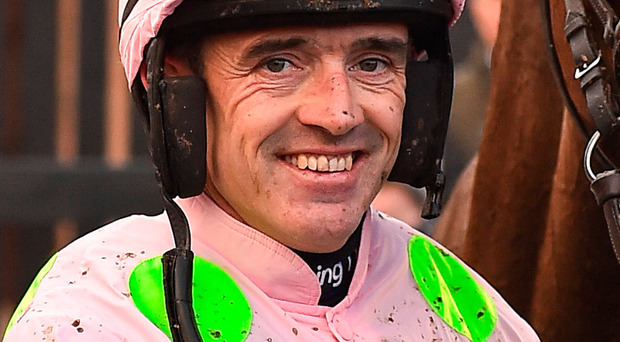 A familiar face will be seen in a rather more unfamiliar role at Naas for the opening day of the Irish Flat season on Sunday, as Ruby Walsh takes the ride on Castletownshend in the Kildare Post & Kildare Now Maiden. 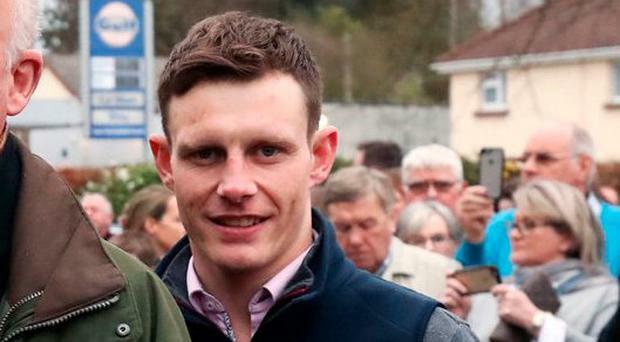 Gold Cup hero Paul Townend returned to home ground in style yesterday, landing the UCC Don't Step On The Crest Handicap Hurdle in Cork on Ronald Pump for Matthew Smith. Robbie Power will miss Sandymount Duke's final run before the Aintree Grand National over hurdles at Thurles on Saturday. 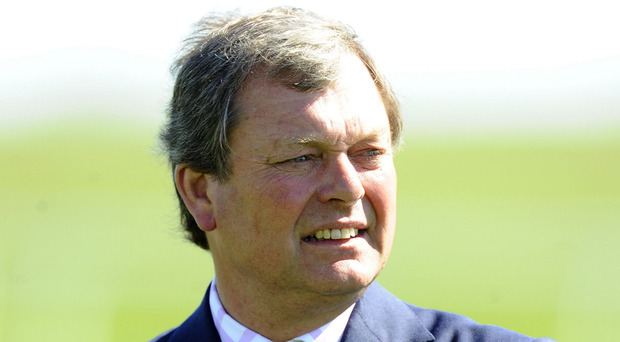 John Oxx is looking forward to the new Flat season, with Classic prospect Skitter Scatter leading the way in his new partnership with neighbour Patrick Prendergast. 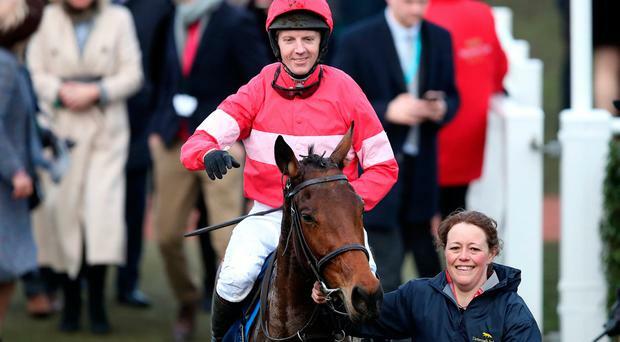 Gordon Elliott is eyeing Punchestown redemption for Apple's Jade following her disappointing effort in the Champion Hurdle at Cheltenham last week. 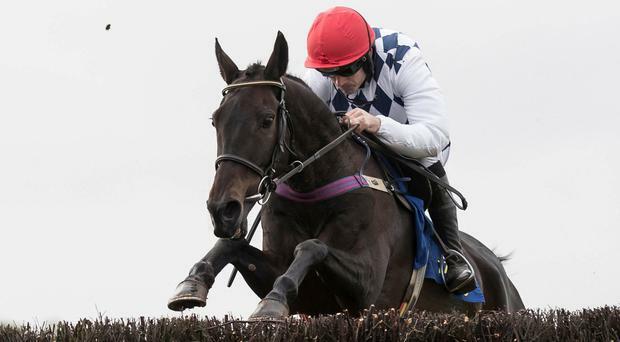 Scoir Mear delivered the big-race victory he has long promised in the Novice Handicap Chase Final at Navan yesterday. Moyhenna ran her rivals ragged on the way to an impressive win of the Charleville Cheese Mares Novice Chase at Limerick. 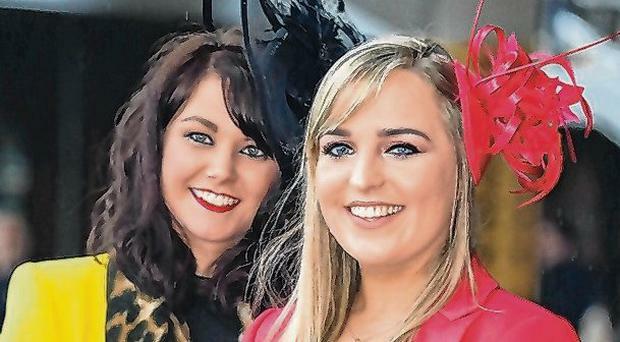 Emma Lavelle will bide her time before deciding whether to head to the Punchestown Festival with Stayers' Hurdle hero Paisley Park. The seven-year-old was crowned king of the three-mile division at Cheltenham on Thursday, adding a second Grade One to his tally after landing the JLT Hurdle at Ascot earlier in the campaign. For a few minutes on Tuesday evening at Cheltenham, the chance that we would head home three days later riding even a gentle wave of positivity seemed to be receding by the second. The screens were up on the landing side of three of the fences after the National Hunt Chase as fallers were attended to by vets, while out in the Atlantic, Storm Gareth seemed poised to wipe out the second day altogether. 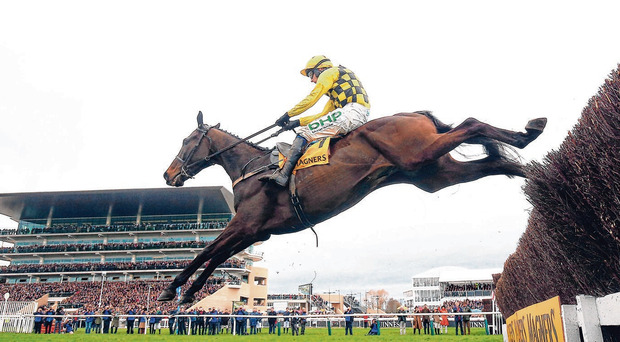 This year saw a more democratic Cheltenham Festival than has been the norm in recent years. Last year Gordon Elliott and Willie Mullins won 15 races between them, improving on the dozen they'd jointly bagged in 2017. 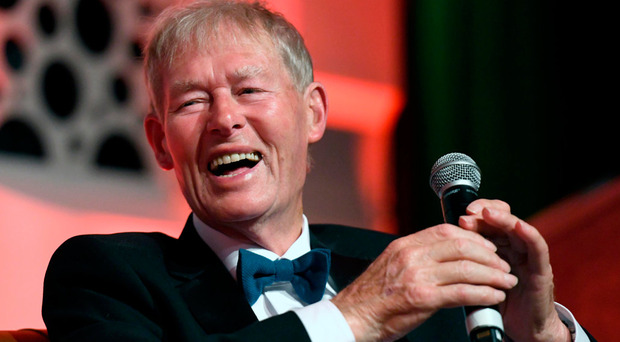 Was this the greatest ever Cheltenham? It's hard to think of a better one because this was the Festival with everything. Over four days one stirring story followed another until a special victory crowned a special week. 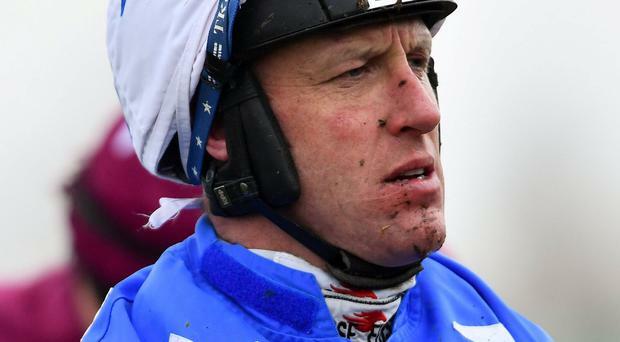 "I think I owed it to the horse," Paul Townend announced, a giddy enclosure tightening incoherently around him. Serendipity, the word used to describe a chance occurrence that's happy or beneficial, was coined by the English writer Horace Walpole in 1754, who based it on an ancient fairytale called 'The Three Princes of Serendip'. 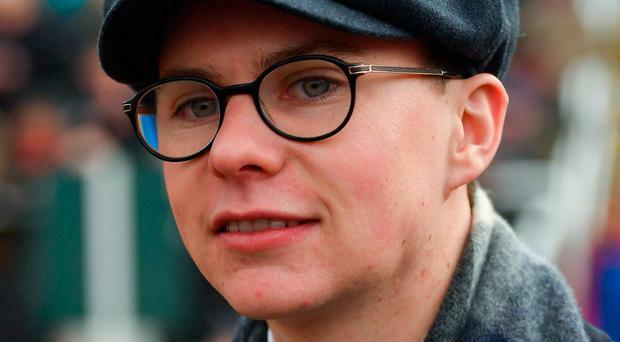 Joseph O'Brien was trying to keep things in perspective after suffering a huge blow with the loss of star juvenile hurdler Sir Erec yesterday. Shock victories of 66/1, 50/1 and 20/1 outsiders saw bookmakers end the Cheltenham Festival on top against the punters in a week of fluctuating fortunes. 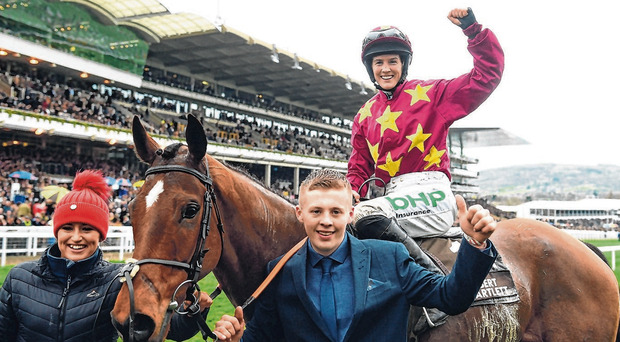 Having watched Bryony Frost and Lizzie Kelly hog the limelight on the third day of the Festival, it was only natural that Rachael Blackmore would bite back yesterday. 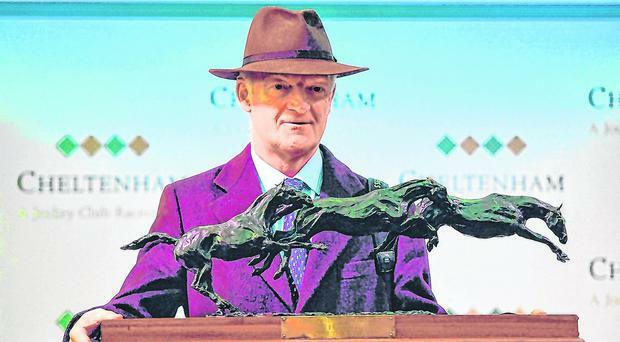 Trainer Willie Mullins has finally reached the promised land with his first ever win of the Cheltenham Gold Cup. 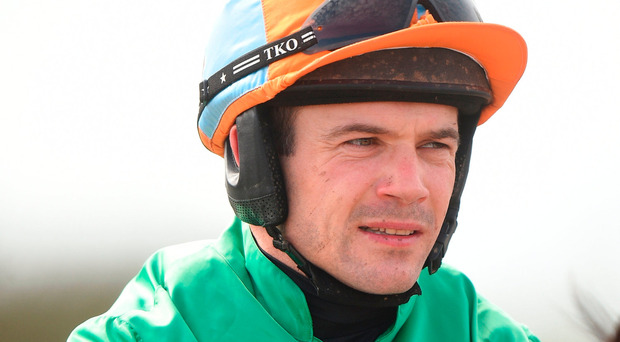 Nico de Boinville was crowned leading jockey at the Cheltenham Festival for the first time.